Many years ago, my brother the pastor and professor, talked me into spending more money than I wanted to on a computer bible system. It was one of the first ones that was published and he had found it a real help in his sermon preparation. He and I serve in different faith transitions, his being more traditionally evangelical than my Anglicanism. But I am always willing to learn from others and started trying to use the software in my own ministry. I didn’t have much luck. The software back then was designed to support close study of the Bible in a verse by verse sort of way. Anglicans tend to read the Bible in literary chunks (like psalms, stories, letters, etc.) rather than by verse. And that’s certainly the way our use of the weekly and daily lectionary undergirds our use of the Bible in our preaching. So while I could use the software to gather a great deal of information about a single verse (including translation issues, text variants, etc. ), the package just wasn’t very helpful for what I was trying to do as a preacher. But things have changed. First of all, the software, published by Logos, has been through a number of revisions, has moved to a truly cross-platform structure and is much easier to use. And even more exciting to me is that it now has a wealth of Anglican sources including commonly used commentaries, theological resources and liturgical resources. This package has been endorsed by people at Lambeth palace (the Archbishop of Canterbury’s office), the Anglican Communion office, and American Church’s Presiding Bishop’s office. And the new tools and resources make it incredibly helpful for the average jobbing Sunday lectionary based preacher to quickly pull together a wealth of information to use for sermon preparation. You can even download powerpoint templates and professionally designed slides for presentations (and sermons). I find that it’s best to think of this thing as a library platform, like Kindle or iBook, that makes modern, professional and popular theological and biblical resources available in electronic format. 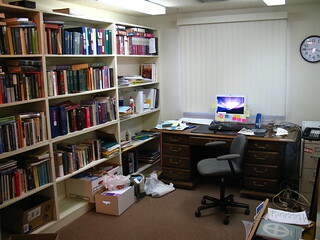 By the time I had graduated from seminary I had spent thousands of dollars on books and had built a decent, medium sized, theological library. (That turns out to be a real bear to move from office to office by the way.) Logos, and its competitors, are a more modern way to gather and use a personal theological library. You can find the free package here along with more information about what is available and how to use it.